Yesterday, news of the church shooting in Charleston which resulted in the death of nine people sent the black community reeling. The incident, now at the center of a hate crime investigation, is one of many in the last few months that has highlighted the realities of racism in America. Incidents like McKinney, Ferguson, and the deaths of Trayvon Martin, Mike Brown, and countless other young black children have generated outrage and protest across the nation. So what does it mean to be a black parent at a time like this? And what does it mean to be a black father? The myth of the black father has long been that he does not exist -- that he's absent and irresponsible. 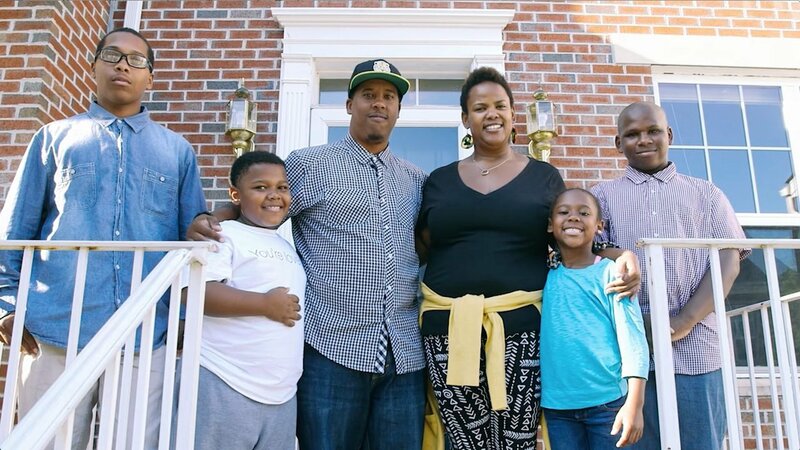 But today, more and more black dads are speaking out about their experiences raising children during a time in which police brutality and hate crimes have become the focus of an ongoing national conversation. "Whether or not black lives matter in social or political opinion, I want to make sure that my daughter knows that her life matters to me. I want to unapologetically love on my 7-month-old daughter and be as goofy around her as I want to. This is going to be a fun roller-coaster ride for us both. I want to hand down the tools I’ve gained in my life and give her plenty of room to create her own. I’ll teach her to respect authority, while also teaching her to respect herself. My wife and I can’t lie and tell her we live in a colorless kumbaya society. We’ll prepare her for what she might face, but we won’t instill fear or shame for what makes her different. Throughout this journey I’ll be a very imperfect dad, but I’ll always be a present dad. That’s the best thing I can offer. To be there, to admit my mistakes, and to give her the best love I know how. I’ll also be carrying around my camera and capturing as much as I can. These moments move quickly." 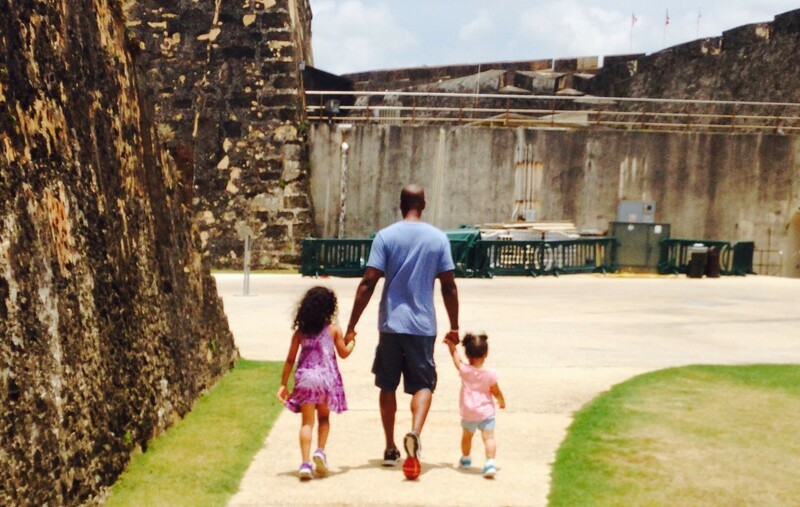 "As a black man raising two multiracial girls, I strive to teach them to be confident and strong. But what happens when Daddy isn't always confident and strong? I'm a public speaker, fatherhood activist, published author, and television personality - and I've never been in trouble with the law; however, the harsh reality is if I'm ever stopped by the police for any reason, I will experience an inordinate amount of fear. Fear that I could be harmed, beaten, or killed. Here's a fact: as a black man, I'm automatically viewed as a threat due to my skin color. Sometimes I wish I could walk into a nice boutique wearing sweatpants and a T-shirt, but I know I'll be followed -- so I break out the slacks, collared shirt, and prescription eye glasses and suddenly I'm left alone. Sometimes I find myself singing 'Frozen' songs if I'm passing someone on the sidewalk in an effort to say, "Hey, I have kids. I'm not a threat to you." I also wish I wouldn't completely tense up when a police officer walks or drives by me. I hope and dream that my girls will grow up in a more tolerant and accepting world than the one we live in now. I fear that if we continue to focus on our differences instead of our similarities, the problem will only become worse. We can do better. The lives of our children hangs in the balance." "I want my son to understand who he is and understand his cultural history, being part Chinese and African American. I want to give him an education so he can diffuse any ignorant situation that he is confronted with, be it the police, or his peers. I’m prepared to be a great father to him, which is to give him the opportunity to receive the best education money can buy. But, book/school knowledge is only half of an education. My hope is for him to become a citizen of the world. A global, multilingual person that not only takes from the world, but gives back." "To be a father during the time of Ferguson is frightening! Living it as a black male and now raising three children during this time is, again, frightening! In today's time, the media has portrayed what it is really like to be a black man in the 'free' America; unjust and profiled. As parents, like all parents, we worry about our children and how the world will perceive them once they venture off into society. We have learned that our children will be stereotyped because of the color of their skin and or because of an assumption of how some people view African Americans. It has made us aware and proactive to educate our children on how to overcome adversity not strictly to our culture but also to how people may view them or their fathers. Our children understand their race, they've learned a lot about our heritage and they know what other people in the past have sacrificed which had ultimately allowed them to live in 'free' world today. It is important that we continue to love and teach our children not to become a statistic and truly educate them on how the 'system' may pinpoint them because of the color of their skin; a lesson all kids of an ethnic background have to learn." "I have discussed race and police brutality [with my children] for years, especially with my teens. We've watched so many instances happen and they've expressed how they feel and I have done the same. It's almost impossible to say and do the right things in some interactions with police, as the rules seem to constantly change. You can say 'don't do this' and then you turn around and see people not doing that and still being brutalized and/or arrested or killed. That makes it so scary as a parent; there’s almost nothing you can really do to prepare them in a way that will keep them from being vulnerable. You're always vulnerable as a black male dealing with the police. And now we see that is the case with black females as well." "I want my children to be prepared for being stopped by the police as best as they possibly can. I want them to know their rights. I want them to be prepared to handle themselves in a respectable, reasonable manner for as long as they need to in order to save their lives. It's really sad that the worst thing they have to worry about is not being arrested, but rather being killed. It is my hope that groups such as Black Fathers on Facebook will play a major part in convincing fathers than we can do the work together for our own children and for all children. It is my plan to create regional chapters of Black Fathers. By doing so we will become so much more than just a virtual, online resource to one another; we will become an 'on the ground' resource to one another in the physical form, create an agenda which we will act upon, work with other community leaders and organizations, and take charge of our homes and our communities for everyone's sake." FERGUSON, MO - MARCH 12: Demonstrators hold a prayer service near the police station on March 12, 2015 in Ferguson, Missouri. Prayers were said for both demonstrators and police at the service. Yesterday two police officers were shot while observing a protest outside the police station. Ferguson has faced many violent protests since the August shooting death of Michael Brown by a Ferguson police officer. WASHINGTON, USA - MARCH 12: A protestor lays down in the street in front of the Ferguson Police Department during ongoing protests after the Justice Department released their report exposing corruption in the police department and court system of Ferguson, USA on March 12, 2015. Officials, including the Chief of Police, have been forced to resign after the release of the report. WASHINGTON, USA - MARCH 12: Protestors gather and shout slogans in front of the Ferguson Police Department during ongoing protests after the Justice Department released their report exposing corruption in the police department and court system of Ferguson, USA on March 12, 2015. Officials, including the Chief of Police, have been forced to resign after the release of the report. FERGUSON, MO - MARCH 12: Demonstrators protests in front of the police station on March 12, 2015 in Ferguson, Missouri. Two police officers were shot yesterday while standing outside the station observing a similar protest. Ferguson has faced many violent protests since the August shooting death of Michael Brown by a Ferguson police officer. FERGUSON, MO - MARCH 12: Demonstrators protest in front of the police station on March 12, 2015 in Ferguson, Missouri. Two police officers were shot yesterday while standing outside the station observing a similar protest. Ferguson has faced many violent protests since the August shooting death of Michael Brown by a Ferguson police officer. FERGUSON, MO - MARCH 12: A demonstrator protests in front of the police station on March 12, 2015 in Ferguson, Missouri. Two police officers were shot yesterday while standing outside the station observing a similar protest. Ferguson has faced many violent protests since the August shooting death of Michael Brown by a Ferguson police officer. A woman participates in a candlelight memorial vigil near the Ferguson Police Department in Ferguson, Missouri on March 12, 2015. The troubled US community of Ferguson, Missouri -- scene of months of protests and racial tension -- was on a knife edge again after two police officers were shot.